When Humans Finally Get To Mars, Will They Ever Be Able To Come Home? There are a few elements necessary in order to make a return trip from Mars possible. Elon Musk recently described his plans to make human beings an interplanetary species, starting with a trip to Mars. But how exactly does the SpaceX CEO intend to bring people back from the red planet? The most crucial element necessary to both trips is fuel, which must be created using the raw materials at hand – and Mars has a lot of carbon dioxide and hydrogen. Thus, using the proven Sabatier reaction, carbon dioxide could be used to react with hydrogen to form methane for fuel. This chemical processes would need an ample source of energy. This could come from solar panels (assuming Elon Musk can bring a ton of super energy efficient ones to the red planet). Luckily, once the process is up and running, the end products of burning methane and carbon dioxide are the same as the starting ingredients. Therefore, the process should produce enough oxygen to power the craft’s engines. A place to set up a chemical plant that will carry out the above actions is crucial. If water is used to power the plant, there’s only a couple places where it can be established. There’s a ton of water located in the polar ice caps. However, those are essentially Mars’ “danger zone,” offering incredibly harsh conditions. 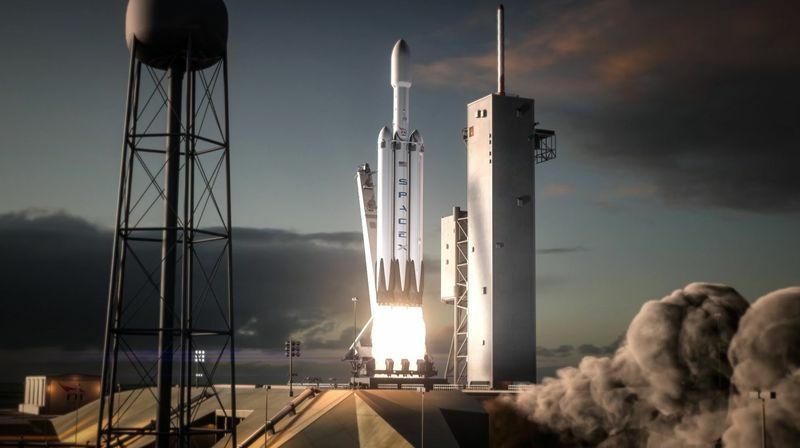 According to Musk’s presentation: “the first ship will have a small propellant plant, which will be expanded over time.” Having a small plant presents some complications, though. It would take more time to start building a chemical plant to process fuel, and mean more resources are needed to keep people fed. Unless the perfect location can be found, the first group would have to be small enough to operate and expand the propellant plant, and have enough pre-produced fuel for a return trip. Based on these challenges, it is clear that the first trip would be composed of people sent to build the basic infrastructure to allow for continued existence on Mars. The folks from SpaceX and NASA are aware of this, of course. And, given enough time and preparation, would eventually come up with the best way to tackle the situation. If the human mind can conceive of life on Mars, then it can probably figure out how to make it happen.